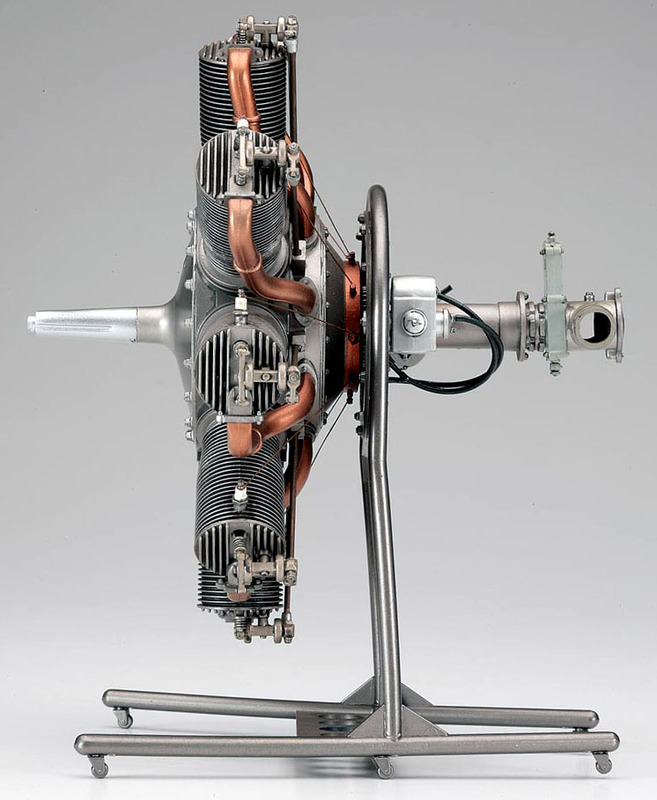 Hasegawa has reissued the beautifully produced 1:8 scale scale Le Rhone rotary engine. There are just 82 components to assemble, but it's an impressive kit nonetheless. As you can see from the pictures, the result will be a extremely convincing replica of this important World War I powerplant, and Hasegawa includes a dolly stand, so the display possibilities are good too. 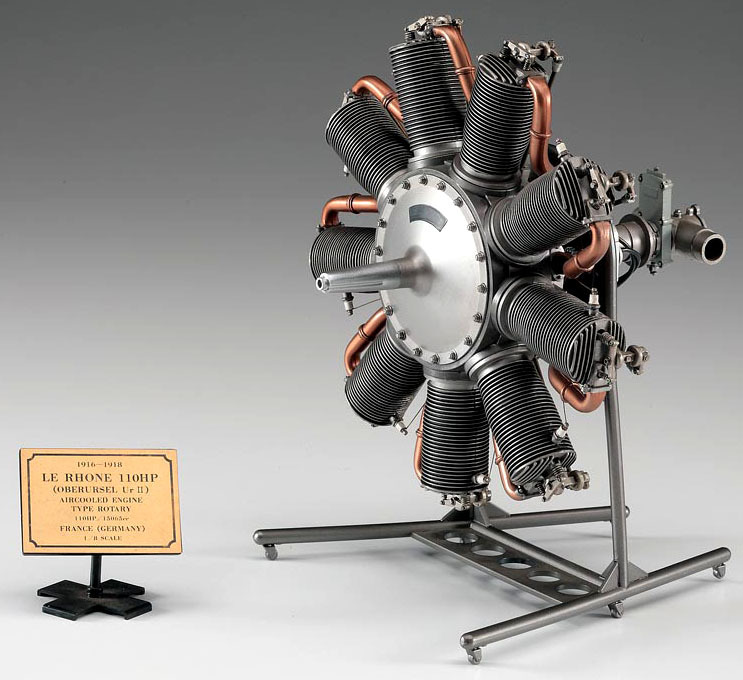 The Le Rhone was designed and built by the French company Gnome et Rhone in 1916, and before long hundreds of these engines were installed in dozens of aircraft types from several countries. 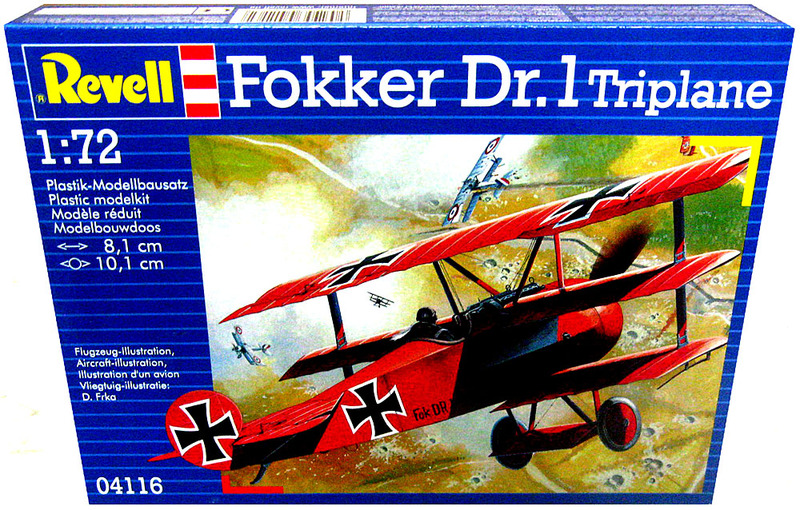 These even included Germany, whose engineers cloned the design from a crashed Allied fighter and by August 1917, this was being used in the Fokker Triplane, soon to become infamous as the mount for Manfred von Richthofen, the famed ‘Red Baron’. In German service the engine was called the Oberursel Ur II, but it was the Le Rhone in all but name, and is actually the engine that Hasegawa has chosen to model. So a neat display pair could be the 1:8 Le Rhone, displayed next to a parked Fokker Triplane. Many Triplanes are available, so the choice is up to you, though it’s perhaps a pity that the French publisher Hachette hasn’t reissued its Triplane partwork of a while back; this monster kit was actually to the same 1:8 scale as the Hasegawa engine. Hasegawa also makes a 1:8 scale Clerget, another French rotary engine used widely in World War I, in aircraft such as the British Sopwith Camel (above). So here’s an opportunity for a matching pair of opposed fighters, both powered by and displayed with French-designed engines, something an irony probably not lost on combatants in the deadly air battles of the time. 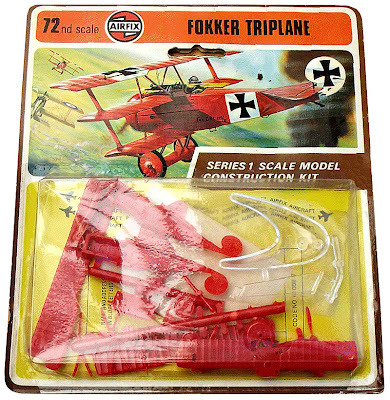 SMN partwork article, including the Hachette Fokker Triplane here. Assorted Fokker Triplane kits here. 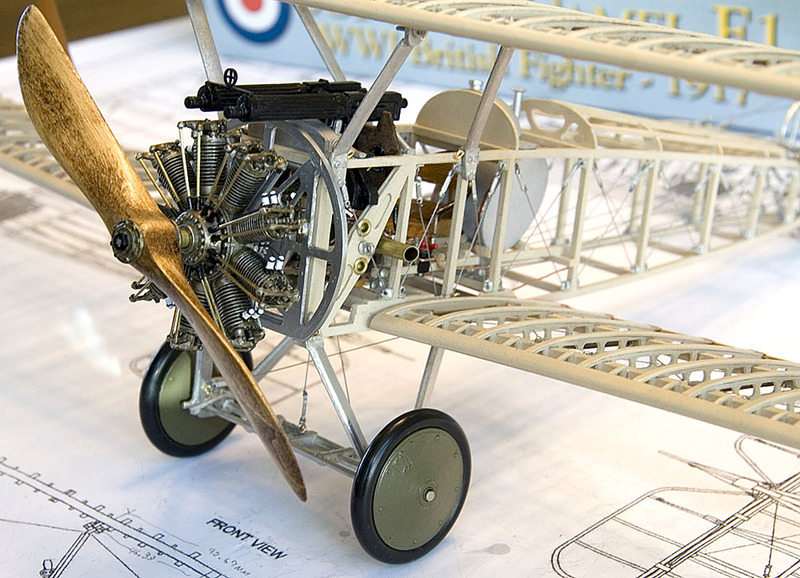 Assorted Sopwith Camel kits here. 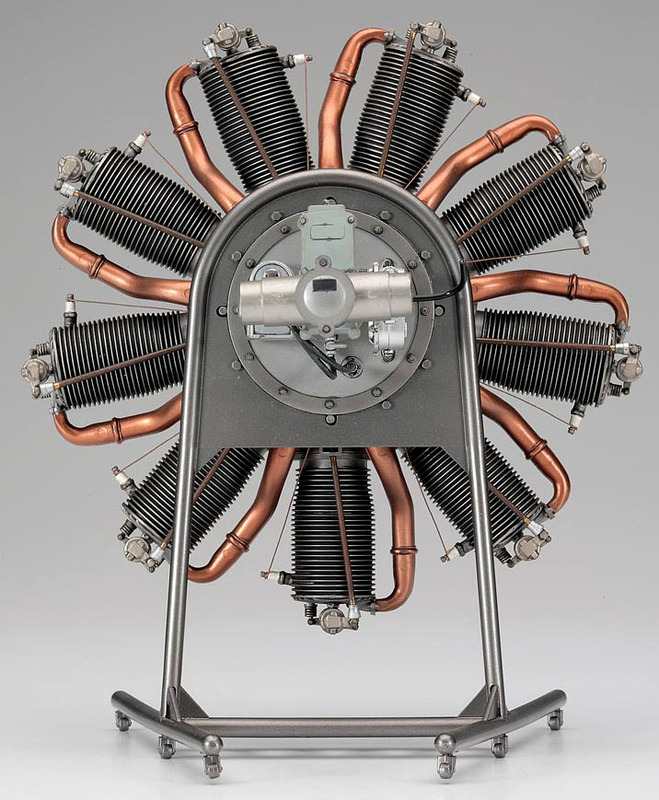 Hasegawa Clerget engine, as used on the Sopwith Camel, here. 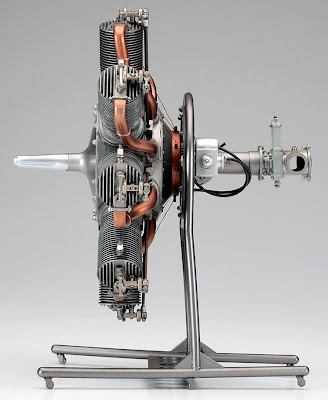 Other interesting engine kits here. Airfix blister pack vintage display.